Huizhou, a city in the southern part of China, features long meandering coastlines creating picturesque scenery as well as a hilly northern edge, meaning that Huizhou is a city surrounded by beauty. The city itself is quite industrial, producing televisions, computers, cameras and many other manufactured goods, creating quite an up-and-coming feel to the city. Huizhou provides luxury in the way of resorts with facilities such as golf courses, as well as golden beaches and crystal waters and many attractions such as a water park, yacht club, nature reserves and much more. The resorts here are of top-end luxury and will not disappoint when it comes to providing efficient service and outstanding attention to detail. In the heart of the vibrant City of Swan, discover an address where business and leisure come together at its finest – the Kempinski Hotel Huizhou. 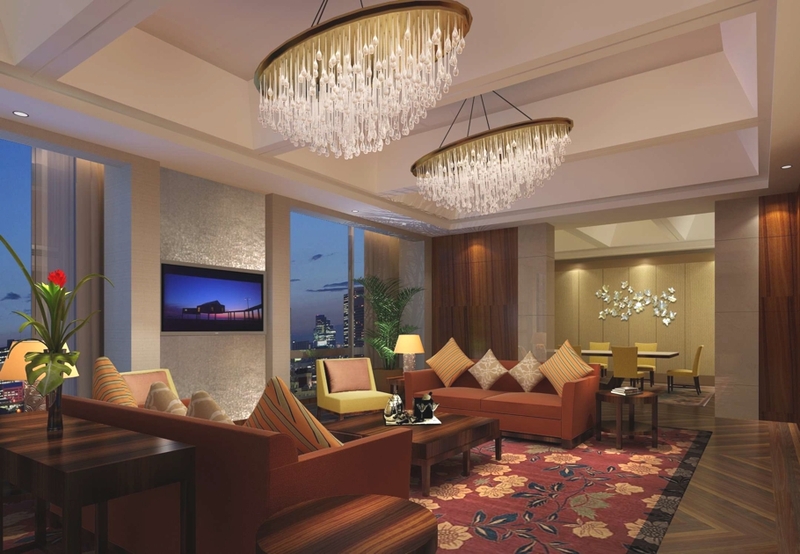 A luxury contemporary hotel that blends European flair with Chinese culture.